Will a Rate Hike Hurt Your London Home Value? Given rising prices across most parts of the Canadian Economy many have held that a hike in Mortgage Rates is coming. Traditionally this has meant a drop, or at least a holding of home prices. Read below to see why this might not be the case this time for London. 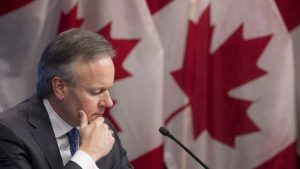 Canada’s economy continued to sizzle along last month, as the Bank of Canada (BoC) reported 2.8 percent annual inflation in August. While this was somewhat lower than July’s 3 percent, it nonetheless signaled what we have been expecting: the Canadian economy continues to feel the impact of a roaring U.S. economy. As expected, the August inflation report has fueled predictions that the BoC will raise interest rates, and thus mortgage rates, in order to cool down inflation. But Why? Traditionally, Central Banks have focused on inflation as a way to guide their thinking on a country’s economic policy. It was and is economic dogma that if you can keep prices under control then everything else should take care of itself. So when prices start to rise too quickly central banks raise interest rates. This is done to increase the cost of borrowing, increase the cost of investment, and essentially slow down the economy. While it might seem odd for a country to try to slow down an economy, it is done so that everyone can have time to adjust to rising prices. Indeed, just because the price of milk went up last month doesn’t mean your wage went up. Even a hot economy moves slow and everyone needs time to adjust. In most places, in most times, when mortgage rates rise home prices drop, or at least stay close to the same. As the cost of a mortgage becomes more expensive less people are likely to want them. If less people want mortgages then less people want houses. This is what brings down housing prices – Essentially, you are going to be able to sell your house for a lot more money if 10 people are interested than you are if only 2 people are interested. So in certain cities in Canada a rise in Mortgage Rates will certainly lead to a drop in demand for housing. This drop in demand will lead to a drop, or again at least a holding, of the price of homes. But not in London. As mentioned in previous posts, there are a number of factors which make London’s Housing Market unique. There are structural and demographic factors at play here which have made London the hottest housing market in Canada. Indeed, as baby boomers from Toronto look to London as a less expensive alternative, our continued lack of affordable housing, and a growing younger population that has been shut out of the housing market, the price of London housing has skyrocketed. But that is not all that is at play here. The London Housing Market has been undervalued for years, with most observers surprised that it has remained so low for so long. Indeed, there are multiple factors which make London a desirable place to live: London has a diverse economy, strong population growth, net positive immigration (from Canada and abroad), world renowned post-secondary education centers in Fanshawe College and Western University, and a strong technology sector attracting more and more young people. For all of the issues brought up in the recent election of how to fix London (and we do have our issues), London looks very attractive to a lot of people. Back to Rates – What About the Value of My Home! Although my crystal ball works as well as anyone else’s, even a rise in interest rates, by a quarter point or two, is unlikely to slow this market in any measurable way. With the demographic and structural factors that I have written about elsewhere, combined with the fact that London homes have been undervalued for so many years, it is unlikely that anything beyond a a dramatic rise in rates, and I mean dramatic, will hurt the value of your home. Given the above factors it is likely that the price of London homes are going to continue to rise for the foreseeable future, interest rates be darned (this is a public post, children could be reading).